This is such a tragic news event. This is a major Paris and world landmark. I ache knowing I'll likely never get to see it in person as I haven't been to Paris yet. A terrible loss for many reasons. I went there while in high school. Hard to wrap your head around losing such a treasure. I agree. This is tragic. As someone who is obsessed with historic buildings, I have always wanted to visit but it looks like that will never happen. But I think that this horrific loss is well beyond the loss if an irreplaceable historic building for Parisians but in some ways, it is losing the soul of the City. This is sad, but it's just another paragraph in the history of the building. It will be rebuilt. It's a shame that most of the original structure will be gone though. I was there as a kid. I remember being afraid of the staircase. When I was in Paris several years ago we didn't have much time so we opted to visit Sainte Chapellle instead of Notre Dame. Crap. The main stone part of the building and the alter still stand and can be restored. But in reading the BBC this morning, it is interesting to hear how different political and business leaders from around Europe, and the world, are willing to send money and resources to help restore and repair the cathedral. Perhaps through this tragedy, we may find common ground and a way to work together with our enemies. I nearly cried seeing the spire fall. Here's the Web site for Friends of Notre-Dame de Paris, a registered 501c3 charity. I'll be writing a check. Friends of Notre-Dame de Paris, Inc. There's also a PayPal link on the site. Yesterday, a "donate notre dame" search in Google resulted in links to Notre Dame University fundraising sites. This morning, it's much different. Anyhow, a large part of me says that the rebuildng should use modern fire-proof materials. It may not be historically accurate, but Notre Dame is a living building, and as important today as it was 850 years ago. If we want it to be with us 850 years from now, why take the chance of possible destruction from another fire? CNN: the relics are safe. That's a relief. My inner architectural historian is curled up in a corner sobbing over this. I'm grateful that I got to experience it in person twice (most recently a couple of years ago). The priest who went in and saved the crown of thorns.... geez that is amazing. It's amazing how "little" damage was done. It appears to be mostly the roof that suffered major damage. It fell into the inner vault, which was left relatively intact. The spire fell through the vault from what I've read, but that seems to be the only major damage. The rose windows look to be okay, and most of the art and relics were rescued. The Great Organ is okay, the flying buttresses seem to have made it. Honestly, what an amazing story. It could have been SO much worse yet somehow she still stands. I would think stabilizing the masonry structure now would be paramount. Without the load of the roof on the walls, they surely are suspect structurally. While I hope not, I think early reports of little damage are overly optimistic. That fire burned very hot for a fairly long time and the fire and water combo are tough on historic masonry. Any speculation on likely causes? Sure, the Paris fire department needs to do a thorough investigation first before making any conclusions, but several news agencies reported there had been active (re)construction in progress on premises at the time the fire broke out. This would seem to suggest some kind of accident. Does anyone know what the rebuilding costs might be? 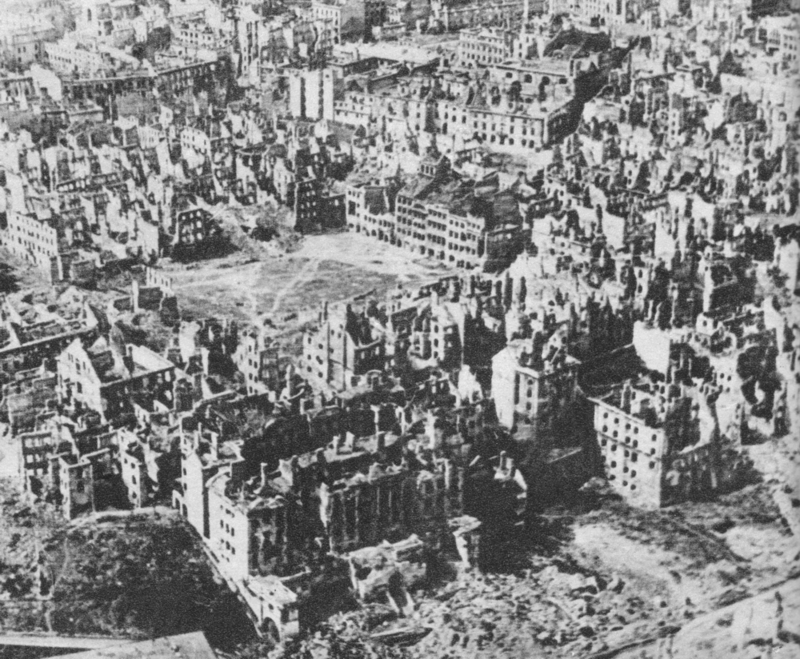 Europeans actually have some experience here, as a number of cathedrals and other historic structures had to be rebuilt/repaired following the bombing and combat damage incurred during WW2. The Polish completely and accurately rebuilt the entirety of the Warsaw Old Town after the Nazis leveled it (and this) toward the end of WWII. If they could do that while recovering from the general devastation of being in the center of the European theater, then I think France can/should be able to do this reconstruction.